Toddlers and 2s naturally sing, play, and talk. Your teaching will encourage them in the way God made them—to laugh and wonder! Simplify lesson planning with 1 easy kit! 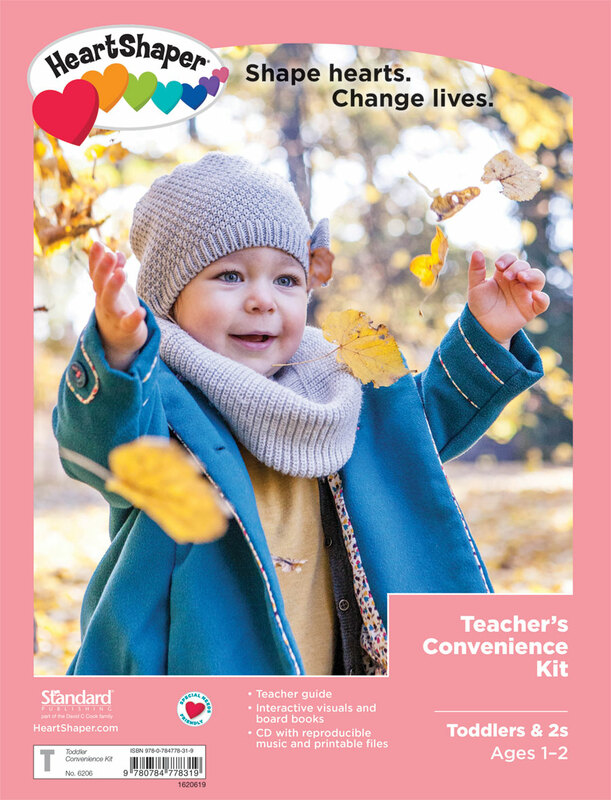 The kit includes the Toddlers & 2s Teacher Guide, colorful visuals, board books that correlate with the units, and a CD that includes reproducible music and the Family Together Time take-home. Order 1 kit per class. Available in print or as a PDF download for a single user or multiple users. Options are available when making your selection in the store. 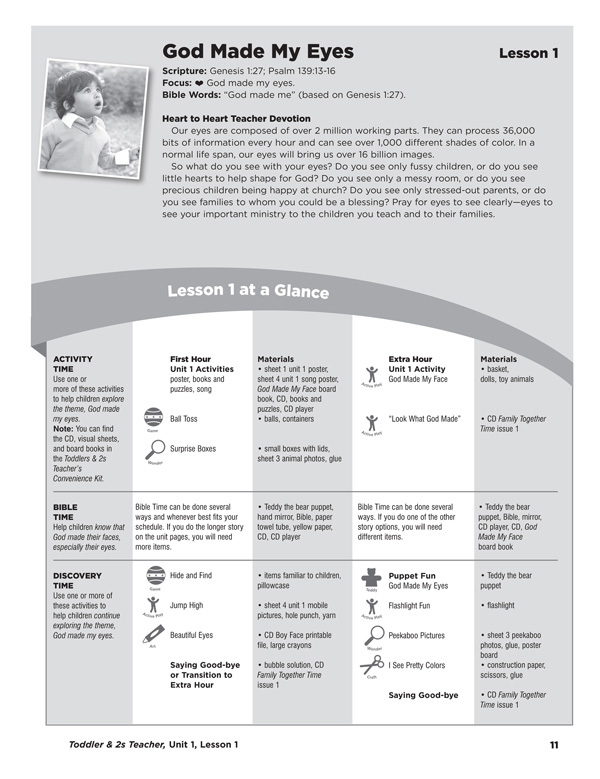 The user-friendly lesson guide features 13 age-appropriate lessons, each packed with more than 2 hours of active learning. Teaching tips and varied motor, sensory, and language experiences allow children to discover and explore. Activity options for babies are included in each unit. Activities are designed for any class size, and special-needs-friendly activities are identified in each lesson! 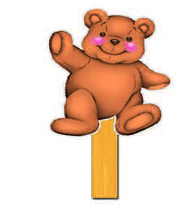 Order 1 per teacher. Available in print, as a Microsoft® Word download, or as a PDF download. Options are available for a single user or multiple users when making your selection in the store. 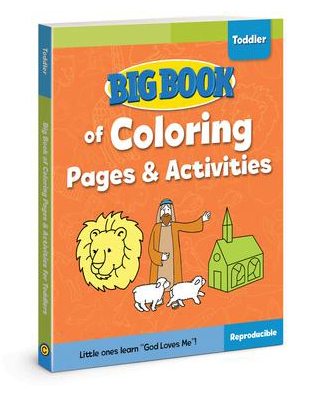 This activity book is loaded with reproducible pages! The table of contents helps you easily tie each activity to a lesson. 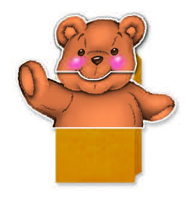 Each activity is also correlated with HeartShaper® Children’s Curriculum.